The physical embodiment of a media empire, the Tribune Tower was sold late last year. For 95 years, 435 North Michigan Ave. has cast its imperious, 34-story shadow over the canyons of downtown Chicago. Designed by Raymond Hood and inspired by the Rouen Cathedral, the neo-Gothic skyscraper soars 463 feet into the clouds and wears a crown from the Middle Ages: pinnacles, grotesques, flying buttresses. It is one of those buildings that Chicagoans mention when boasting of the architecture of their city. But in those conversations, 435 North Michigan is rarely the name of the place. 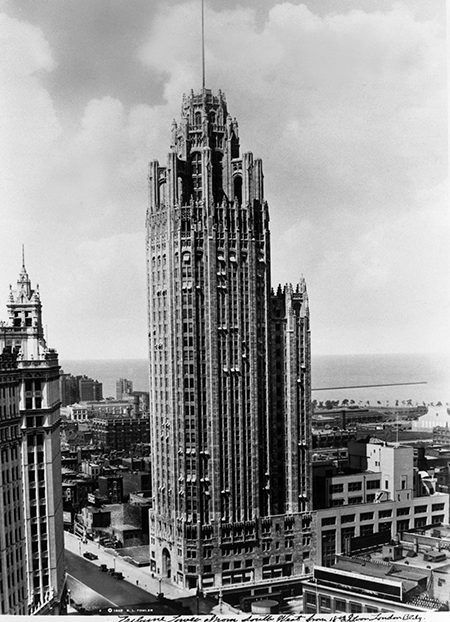 For locals—for everyone, actually—the skyscraper goes by its given name: the Tribune Tower. But these days, it’s hard to find anyone that confident about the Tribune, and a quaver of uncertainty has crept into the voices of Chicago media watchers. There is good reason. After decades of reporting the news, the Windy City’s once-great multimedia empire has generated stories about itself for a change, and none of them is especially encouraging. The right-leaning media empire Sinclair plans to take over the extensive holdings of Tribune Media, a move that would mean, among other things, that the programming of the beloved local WGN television and radio stations would be dictated from … Baltimore. 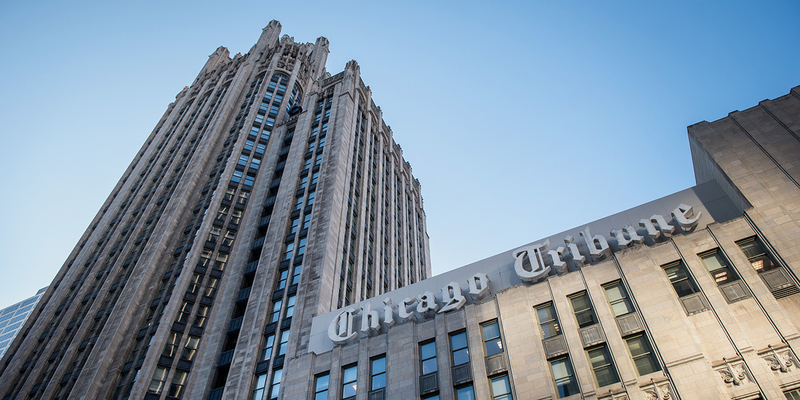 That news came on the heels of Tribune Media’s announcement that it had sold off the Tribune Tower to L.A.-based developer CIM Group, a move likely to kick the Chicago Tribune out of the landmark the newspaper made famous. And what of that newspaper? As of last year, Tribune Publishing isn’t even called Tribune anymore. It’s now known as Tronc. And last month, Tronc announced its intent to purchase the Chicago Sun-Times, which some fear will put an end to the sort of reporting rivalry among newspapers that makes any city great. Of course, acquisitions and consolidations are nothing new, especially not in the restless realm of publishing and media. But to some, the ramifications of these recent developments—and the Sinclair deal especially—go well beyond just another business story. They get to the heart of what it means when revered cultural institutions break apart and come under the control of outsiders. And while there are few outward signs of change yet—the Tribune is still in print, and WGN is still on the air—there is a sense that Chicago is losing something important. The issue, Feder added, goes beyond consolidation per se. 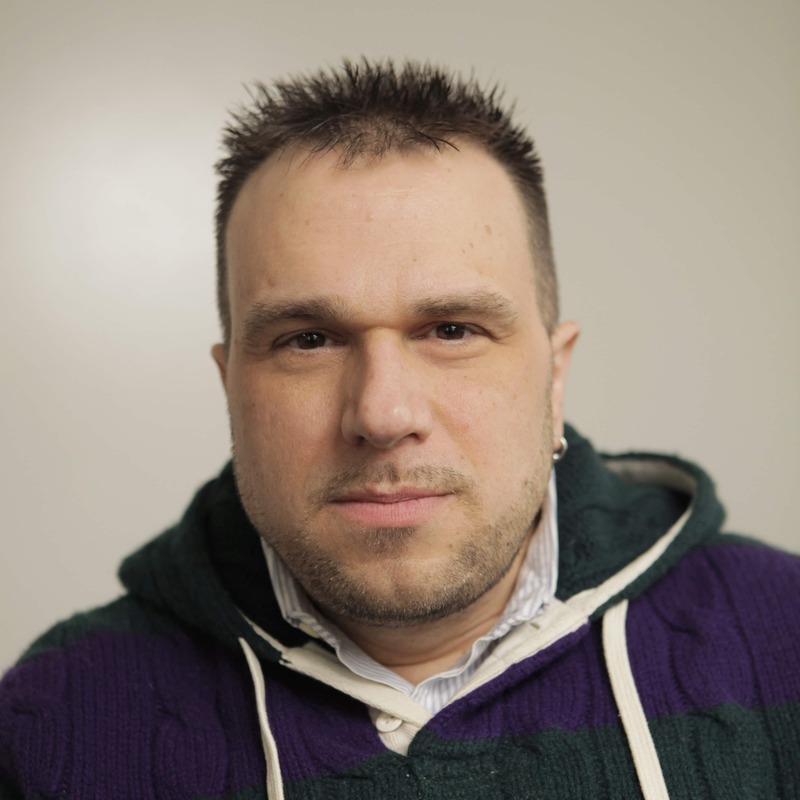 “It’s about what happens when consolidation takes over important, iconic, cultural and civic and business institutions in the community,” he said. And there’s more. If Tribune Media slips into the maw of Sinclair; if the Sun-Times becomes a unit of Tronc; if Tribune Tower becomes just another swank downtown shopping destination (possibly shedding the Tribune name altogether), it will mean that the once seemingly impervious Tribune Company will essentially disappear for good. 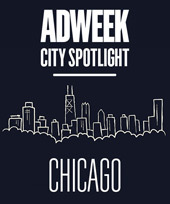 And if that happens, some say, Chicago will lose more than just another corporate name. It will suffer a loss of pride, another psychological wound that the cities of the Rust Belt, unfortunately, are all too accustomed to nursing. The Tribune Company’s troubles are hardly recent. A decade ago, real estate mogul Sam Zell led an $8.2 billion leveraged buyout of the corporation that 617 chaos-filled days later wound up in bankruptcy court. Nine months after that, in October of 2009, the beleaguered Tribune sold off Wrigley Field and the Chicago Cubs, ending a relationship that began in 1981 and the golden age of sportscaster Harry Caray calling Cubs games over WGN’s air. Yet, despite its fiscal woes and the loss of the Cubs, at least the hapless company was still the Tribune Company, one of the most powerful multimedia corporations in America, anchored in a tower of Indiana limestone on North Michigan Avenue that made it Chicago’s own.